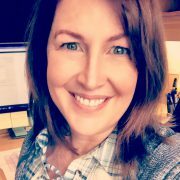 Our office is a family run practice with my wife Dawn working as office manager to help complete everything from patient care to administrative duties on time and with relative ease. Together we built the practice from the "ground up", only having ourselves and a few family members and friends for patients when first opening back in the fall of 1999. 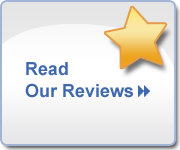 It has been a lot of hard work and sacrifice, but now that the practice has grown and developed we are able to see the long-term benefits in our caring, competent staff as well as in our satisfied patients. No advertising we could invest in has provided us with new patients as much as the positive word of mouth our now established patients have provided and we thank them for that. Dr. Halpin obtained his bachelor’s degree from Acadia University in Wolfville, Nova Scotia. Upon graduation, he played professional hockey in Europe and traveled extensively before entering dental school. He received his Doctor of Dental Surgery (DDS) degree from Dalhousie University in 1995. He won many awards including the Canadian Dental Association Presidents’ Award – an award presented to one fourth year dental student for leadership, scholarship, humanity and general good character. Dr. Halpin and his family lived in Ottawa for four years until an opportunity to establish a practice in Halifax presented itself in October 1999. This office is the result. In the spring of 2001, Dr. Halpin completed a teaching position at Dalhousie University. 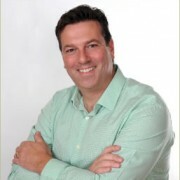 He has been an Associate Member of the International Association for Orthodontics since 2001 and in 2010, completed an upgrade in his credentials for Advanced Orthodontics. In 2006 he obtained additional training in the treatment of snoring and sleep apnea through the use of oral appliances, and also became a Certified Invisalign Practioner. In 2007 Dr. Halpin went from placing crowns on implanted teeth, to also surgically placing implants. In 2011 he began offering mini-implants to his patients, especially for denture stabilization. He recognizes the importance in providing the most current treatments, thus ongoing continuing education is a priority for all our staff. In his spare time, Andy spends time with his family, plays guitar or can be found in a hockey arena coaching his children’s teams. 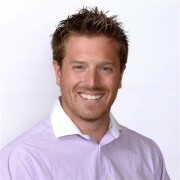 Dr. Murphy was born and raised in Halifax, Dr. Murphy graduated from Dalhousie University with a BSc in 2008 and with his Doctor of Dental Surgery in 2012. Following graduation he was one of two dentists selected to the Dalhousie General Practice Residency program. During his residency, Dr. Murphy had an opportunity to treat dental emergencies, gain experience in oral surgery and other hospital based rotations, and travel to Northern Labrador to treat under-served populations. This one-year program is unique within Atlantic Canada, and one of only seven in the country. Dr. Murphy is able to provide Nitrous Oxide sedation for those patients who require it. He is very proficient in oral surgery procedures including extractions, wisdom teeth and surgical placement of dental implants. He is also a Certified Invisalign Provider. In his free time, Ryan enjoys golfing, playing hockey, and spending time outdoors with his wife, Sarah, puppy Charley and two children. Dr. Mugford was raised in Cape Breton, Nova Scotia. She completed her Bachelor of Science at Cape Breton University in 2013. She then went on to obtain her Doctor of Dental Surgery from Dalhousie University in 2017. She was awarded the International College of Dentists award while in dental school, which recognizes scholastic achievement and general character – and promotes excellence in leadership with an emphasis on service. 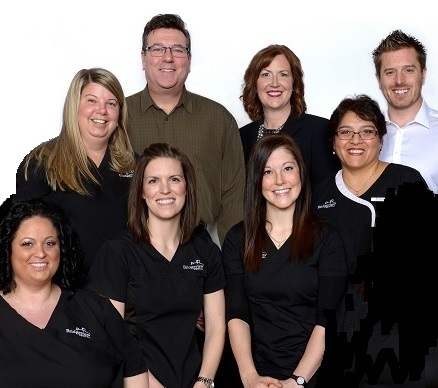 Dr. Mugford enjoys all aspects of general dentistry and treating patients of all ages. 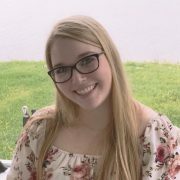 She has a strong interest in orthodontics and looks forward to working at Bridgeview where she can be mentored by Dr. Halpin in this specialty. In her spare time, she enjoys reading, cooking and traveling! 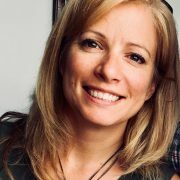 Melanie started work with us upon graduation from Dalhousie University in 2005, and provides excellent oral health care and education to our patients. She obtained her Orthodontic Certification in 2008 through the International Association for Orthodontics and is responsible for many aspects of our patients’ orthodontic care, as well as whitening trays and mouth guards. She completed the College of Dental Hygiene of Nova Scotia Self-Initiation course in 2010 and in 2011 obtained her Local Anaesthesia, for the Dental Hygienist, Certification. Melanie is a thoughtful and caring practitioner who is excellent in working with patients of all ages, especially children. She does our dental supply ordering along with Melissa. In her spare time Melanie is busy raising her two children with her husband. Melanie as of November 2018 is working in a part-time position on Tuesdays, Thursdays and Fridays to spend more time with her beautiful family. Pier-Anne began working with us in October 2014 filling in for Melanie and we liked her so much, we offered her a full time permanent position. She is kind, gentle and always smiling. A very competent hygienist, she also has taken on much of our orthodontic patients. We are blessed to have her on staff! Pier-Anne offers services in both English and French. 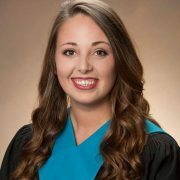 She has completed the College of Dental Hygiene of Nova Scotia Self-Initiation course and in 2015 obtained her Local Anaesthesia, for the Dental Hygienist, Certification. Pier-Anne also obtained her Orthodontic Certification in 2016 through the International Association for Orthodontics. In her spare time Pier-Anne spends time with her husband and sweet daughter. She returned to us from maternity leave in November 2018 and we are thrilled to have her back! 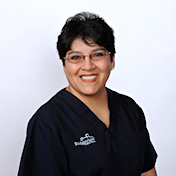 Roxana filled in as our second dental hygienist while Melanie was on maternity leave in 2012. We liked her so much, we asked her to stay on in a permanent position after Mel returned. Roxana is an honours graduate of the Dental Hygiene program at Cambrain College in Sudbury, Ontario. She has over ten years experience working as a hygienist and also has orthodontic and children’s dentistry experience. She is fluent in both English and Spanish, is friendly and professional and looks forward to providing excellent oral care to our patients. 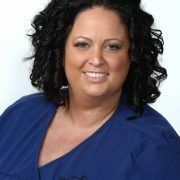 Roxy completed the CD HNS Self-Initiation course in 2010 and in 2015 obtained her Local Anesthesia Certification for the Dental Hygienist. She obtained her Orthodontic Certification in 2016 through the International Association for Orthodontics and collaborates in keeping our orthodontic charts up to date. In her spare time, Roxana enjoys spending time with family and their dog Carly. 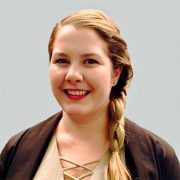 Fallon is an honours graduate of the Toronto College of Dental Hygiene and moved back to Nova Scotia which is her hometown. She began working for us one day per week in January 2017 and our patients loved her so much, we offered her a full time position. She takes pride in her education and is dedicated to making sure all patients feel comfortable when under her care. Fallon graduated with her CD HNS Self-Initiation course and obtained her Local Anesthesia Certification for the Dental Hygienist in 2017. Fallon obtained her Orthodontic Certification in 2018. Fallon is hardworking, friendly and excellent with our patients. Misty filled in for Pier-Anne while she is on maternity leave, starting at the end of October 2017. Upon Pier-Anne’s return, she has stayed on with us in a part-time capacity as our patients love her. Misty completed a Bachelor of Science in 2014 from the University of New Brunswick. She decided to return to school in 2015 and recently graduated with honours from the Dental Hygiene program at Oulton College in June 2017. While studying at Oulton College she also completed her Self-Initiation course from the CD HNS along with her Local Anesthesia Certification. She is learning orthodontics and will be going on course to take her Orthodontic Certification hopefully in 2019. In her spare time, Misty enjoys spending time with her husband, family, and friends as well as her two cats, Alfie and Murphy. 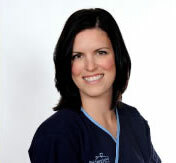 Melissa our Level 2 Registered Dental Assistant, graduated in 2001 from the Nova Scotia Institute of Technology. She has worked with us since 2002 and has the best memory in the clinic for faces and names. Melissa’s knowledge and experience allow her to address questions and concerns you may have about any dental procedures. 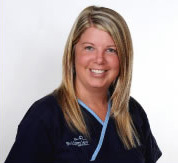 Melissa works chairside with mainly Dr. Murphy and sometimes with Dr. Halpin and Dr. Mugford. You will also see her working at the front desk as she is cross-trained to work both chairside and front desk tasks. Her kind approach and friendly smile always make our patients feel welcome and relaxed. Shanelle graduated with honours from NSCC – IT in 2017 as a Level II Dental Assistant. She grew up in a small community in Antigonish County, Nova Scotia and enjoys going back to visit her family and the countryside when she can. Born to a Danish family, she is fluent in Danish. When she’s not at work, Shanelle can be found sailing, crocheting, reading, and of course spending time with her cat Bindi. She also enjoys her meetings and outings with her Brownie group through the Girl Guides of Canada. Shanelle is organized, keeping our schedule on time and makes our patients feel very comfortable. Deanna graduated from Nova Scotia Institute of Technology as a Level II Registered dental assistant and received her Bachelor of Science degree from Dalhousie University. She has been a Dental Assistant for over 20 years. She has a diverse dental background working in many areas of dentistry with specific experience in Pediatrics, Sleep apnea, Orthodontics and TMJ disorders. She has attended some of the top courses within Canada and USA on sleep disordered breathing and has presented on the subject to the Nova Scotia Dental Assistant Board, as well as a professional conference in Alberta. She is very receptive to advancements in technology and research and improved ways of achieving greater results. Ongoing education is crucial and she is always willing to learn new skills to upgrade her qualifications to deliver the best dental care possible while helping patients feel at ease. 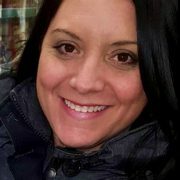 Deanna enjoys spending time with her family and being a very involved mom to her 4 children who are involved in many activities including competitive hockey, soccer and figure skating. In her spare time she enjoys swimming, boating, baking, cooking, gardening, figure skating, dancing, and music. Her extended family includes chickens and roosters, 4 bunnies and 3 cats (Milo, Chloe and Misty). We love having her work with the Bridgeview Dental team as one of our part-time dental assistants! Haley graduated from Level 2 Dental Assisting at the Nova Scotia Institute of Technology in 1999. Within a few months she moved to Ottawa where she practiced in both Orthodontics and General Dentistry. She also got married to her best friend. After 15 years Haley and her husband decided to come home to be closer to family and the ocean. As a dental assistant Haley enjoys helping people understand dental procedures and feel comfortable and relaxed. She is organized, intelligent and experienced. Sharing in volunteer work as well as spending time with friends and family are an important part of how she spends her downtime. In addition to working chairside, Haley handles our dental supply inventory system and all our ordering. We are blessed to have her as part of the Bridgeview Dental team! 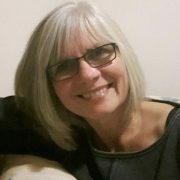 Dawn was initially trained at Dalhousie University with a Bachelor’s Degree in Nursing and worked as a Registered Nurse in renal dialysis and transplant from 1991-2000. She was responsible for aspects of human resources during her nursing career and when Dr. Halpin wanted to start his own practice in 1999, she was drawn into working with him to handle all business aspects of the clinic. In addition to managing the dental office, Dawn is a choreographer for Dartmouth Dance Academy’s competitive dance team Fusion and is busy raising her and Andy’s four children. She truly believes we have the best dental staff anywhere and feels that they are her second family. Carrie was hired to fill a term position and stayed on as part of our permanent staff. She started work with us on February 2, 2015. In August 2015 Carrie was promoted into our Treatment Coordinator position and truly has excelled as a leader within our practice. In the fall of 2017, due to her amazing leadership skills, we added the title of Assistant Manager to Carrie’s repertoire. Carrie graduated as a Level 2 Dental Assistant from NSCC in 2011. She is very organized and has a great sense of humour. 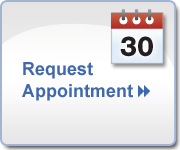 Patients can discuss any of their treatment questions or concerns with Carrie, including treatment price estimates, coordination of insurance coverage, orthodontic plans or payment plans as needed. She brings many year’s of dental experience to our practice and patients will benefit from her bright smile and extensive dental knowledge. Carrie travelled to Toronto in January 2017 to attend a Treatment Coordinator conference in order to better serve our wonderful patients. She shows true ownership in her position and cares about how our patients are treated. She will always go the extra mile to provide superior patient care. She also assists the Office Manager in the orientation and training of new staff. In her spare time, Carrie spends time with her husband and family and is busy raising their daughter. Amy joined us in the fall of 2017. She has a background of working in administration. She graduated with a degree in Journalism in 2005 and spent some time working at a radio station reading the weekend news on-air. 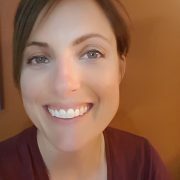 In May 2018, Amy was promoted to Orthodontic Coordinator after demonstrating her stellar organizational skills. Amy is happy to be part of the team delivering exceptional customer service and in her spare time making “the best chocolate chip muffins,” at least according to her kids. 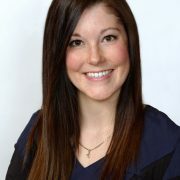 We love having Amy as part of our Bridgeview Dental front desk team! Sharen assists patients at our front desk and assists the manager with A/R. She brings over 25 years experience running a business and working in the dental field!